JOHANNESBURG – THE ground gained in the quest for free competition in the Fibre-to-the-Home (FTTH) market will be lost if South African homeowners and tenants do not sustain the pressure in the current year. This is according to the Internet Service Providers’ Association of South Africa (ISPA) as communities across the country win the war for open access and choice. “South Africans must refuse second-best and continue to evangelise the principle of open access FTTH where they live,” Graham Beneke, ISPA chair, said. Open access refers to electronic communications networks which provide a neutral platform for ISPs to compete with each other. ISPA confirms that elected representatives of gated communities, estates and business parks are adopting a hard line with providers who refuse to allow for multiple ISPs to compete for business. This hard line in defence of open access must continue into 2019, ISPA stated. Beneke said as a central pillar of functioning and free ICT markets that deliver the best value to internet consumers, open access remained one of ISPA’s guiding principles. 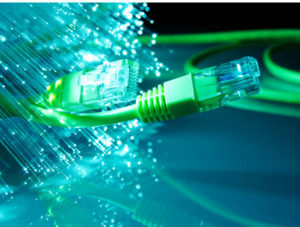 ISPA believes consumers should be free to choose who they buy internet access or data from, something that consumers with ADSL or fibre connection are used to, the organisation stated. ISPA is in full support of authorities’ investigations into the absence of consumers’ choice in choosing suppliers to buy mobile data from.